Uttarakhand state is a religious pilgrimage site in India. Travelling to this beautiful state overwhelms the pilgrims. If you are travelling to Uttarakhand state, then you should be aware of the most popular towns, hill stations, pilgrimage sites, etc. Uttarakhand state pilgrimage is a wide range of tour packages, the most important of which are the Chardham Yatra and the Hemkund Sahib Yatra. 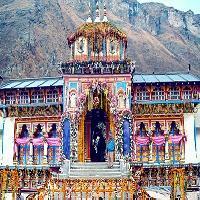 The Chardham yatra of Uttarakhand is considered as the most famous pilgrimage tour all over India. People from India and abroad come to Chardham yatra in Uttarakhand. 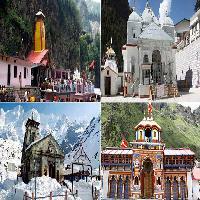 Uttarakhand has several pilgrimages, mainly including Badrinath, Kedarnath, Gangotri, Yamunotri, Haridwar and Rishikesh. Uttarakhand is the place with the most important spiritual centres. This state is considered to be god land (Devbhoomi) or the residence of deities. There are many such ancient temples here, where are visited by pilgrims. Uttarakhand is associated with spirituality, temple and beautiful mountain tourism. 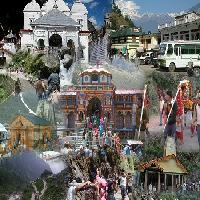 Uttarakhand state is one of the major states of India, here are some of the most important and famous pilgrim site. There are many famous small-big temples throughout the state. Also, there are many famous Ghats where baths and religious rituals are performed by pilgrims.